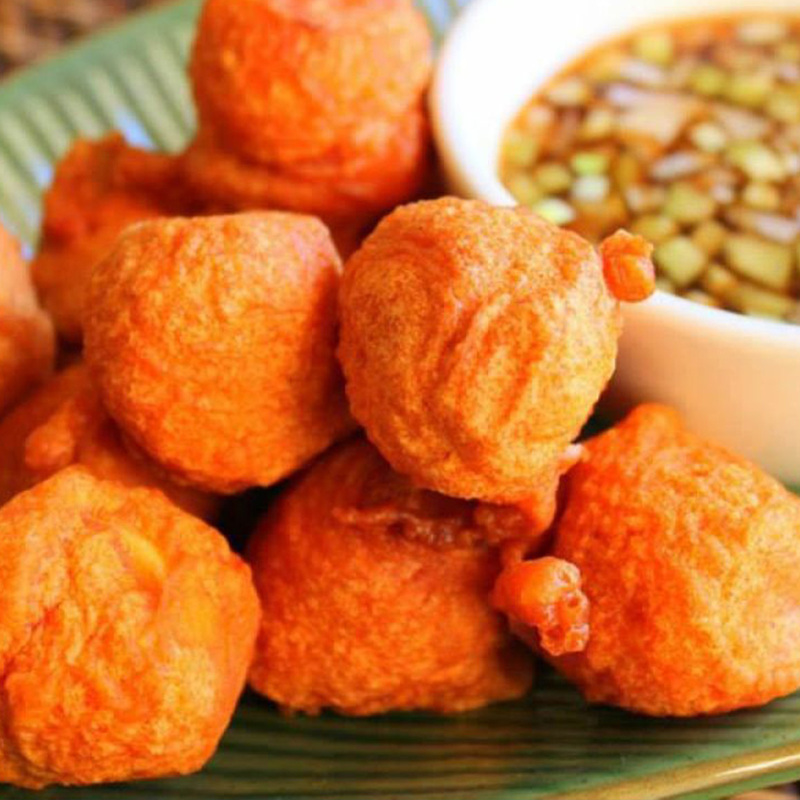 Tokneneng are hard boiled eggs that are dipped in a reddish batter and deep-fried until the batter becomes crispy. Generally, this is considered as a Filipino Street food and sold on the streets along with kwek-kwek, squidballs, fish balls, and kikiam. 1. Put the cornstarch in a container and evenly coat the boiled eggs. Set aside. 2. Combine all-purpose flour, salt, and pepper then mix thoroughly. 3. Dilute the annatto seeds in water until the reddish color comes out. Combine the liquid with the flour-salt-pepper mixture and mix thoroughly. 4. Put the boiled chicken eggs in the mixing bowl and coat with the batter. 5. Heat the pan and pour the cooking oil. 6. When the oil is hot enough, deep-fry the eggs until the coating is crispy. Use a serving spoon to scoop the eggs from the mixing bowl. 7. Remove the fried eggs from the pan and place in a serving plate. 8. Serve with vinegar or special sauce.